With more than a decade of valuable experience in the automotive industry, our professional knowledge in performance enhancements for your Holden and Ford is second to none. A majority of our team is equipped with certified engineering qualifications so we can assure you our parts and advice will deliver a high level of service and satisfaction. 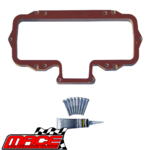 At Mace Engineering, whether it’s stock or modified, we’re always ready to help!